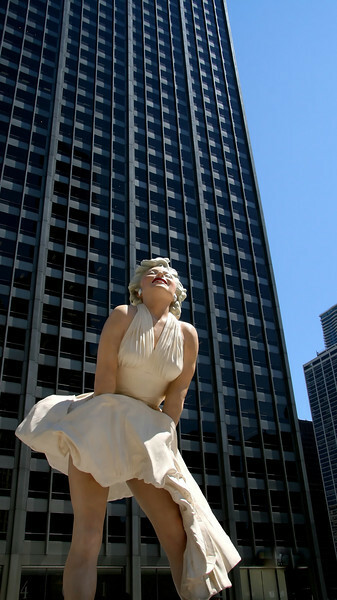 The new Marilyn Monroe statue in Chicago has crowds gathered around her almost constantly. This is located in front of the Wrigley building right next to the Chicago River. Apparently Marilyn will be coming down next spring, she is 26 feet tall. Nice shot of this. It's impressive but I heard on the radio that it was vandalized a few days ago. Art Hill posted a photo of this a couple of weeks ago. I would love to see this in person......wonderfully captured as well!!!!!!!!!! !